Donaco International Ltd, an Australia-listed operator of several Asian casinos, has stated its quarterly results to December 31 were “significantly stronger” than those for the four months from July to October. The firm said so in a trading update filed with the Australian Securities Exchange on Tuesday. It plans to release on February 27 its official results for the six months to December 31. The company announced a loss after tax of AUD124.5 million in its financial year ended June 30. In December the board said it would undertake a strategic review of up to three months to investigate ways to release cash from the business. Donaco’s results had recently dragged, affected – the firm said – by several factors. In addition, in early December the group had announced that Joey Lim Keong Yew – a member of the family that founded Genting Bhd, and managing director and chief executive of Donaco – had been given three months off to deal with “health and personal matters”. Challenges facing the firm have included a legal dispute about alleged unfair competition said to have been practised by the Thai vendors of its Star Vegas Resort and Club (pictured) in Poipet, Cambodia. The venue targets in particular gamblers from neighbouring Thailand, where casinos are illegal. It added that Star Vegas had recorded earnings before interest, tax, depreciation and amortisation (EBITDA) of THB181.04 million for the December 2018 quarter, “well above” the THB169.35 million in EBITDA reported for the four months to October 31. But Donaco also expressed a note of caution. “The company has become aware of increasing competition in the Poipet area, with a new casino rumoured to be opening soon. This increase in gaming supply may help to expand the overall market in Poipet, but may also lead to changes in market share,” Tuesday’s filing stated. Donaco had said recently that the business performance of its casino at the Aristo International Hotel on Vietnam’s northern border with China had also been negatively affected by alleged disruptive activity by a Chinese “crime syndicate” it linked to a disgruntled former gambling customer. Donaco said Aristo recorded US$1.73-million in EBITDA for the quarter to December 31; up significantly from US$0.7 million reported for the four months to October 31. The improvement had been “driven by the ongoing return of VIP players and junkets to the property in November and December,” stated the firm. On a group-wide basis, net revenue for the three months to December 31 was lower – at AUD22.48 million (US$16.1 million) – than the AUD23.7 million recorded in the four months to October 31. Group EBITDA for the quarter to end-December was AUD8.11 million, “substantially higher” than the AUD5.2 million reported in the four months to end-October. 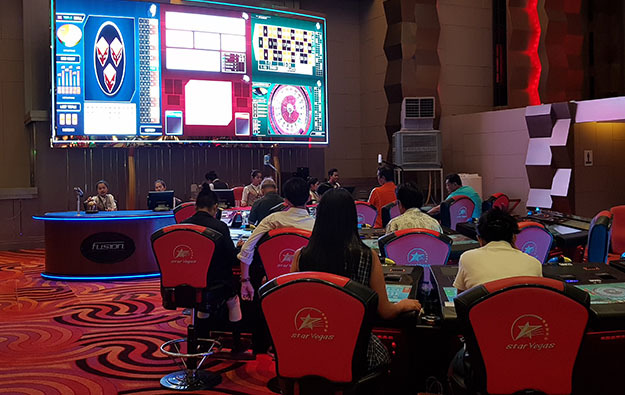 The mentioned results included “all non-recurring items, including the legal fees incurred in the dispute with the Thai vendor of the Star Vegas business,” said Donaco. “When the company reports its half-year results, these fees will be separately identified as non-recurring items,” it added.